Do you live by the Wu Tang code of Cash Rules Everything Around Me? Then this 16″x20″ acrylic painting is for you. 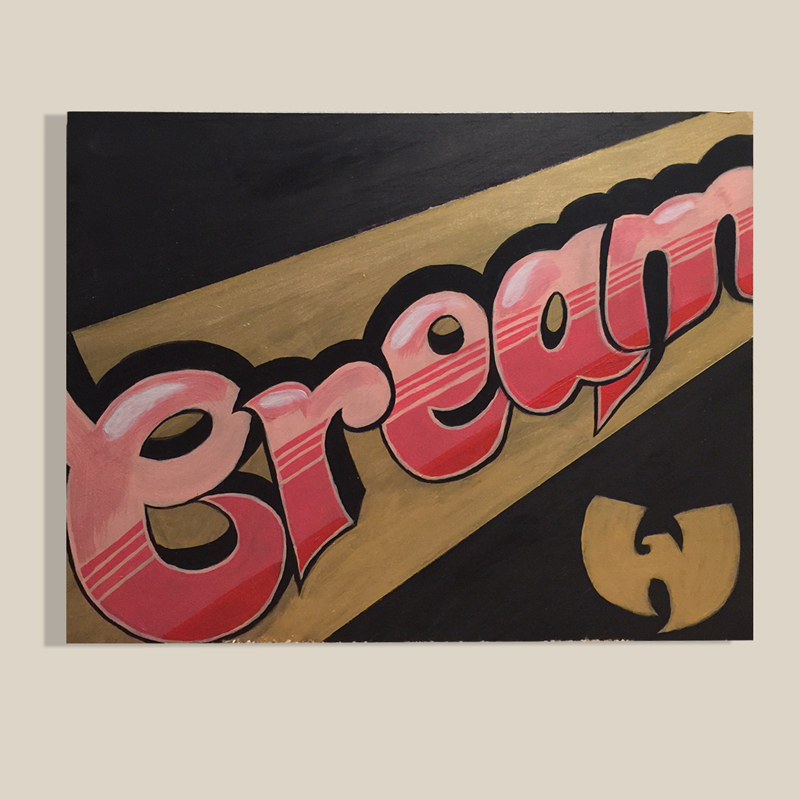 This is a painting of the letters inspired by the rap song “C.R.E.A.M” by the world famous Wu Tang Clan. Posted in Art for Sale, Sherm.Tagged buy original artwork, cream, handpainted, hip hop art for sale, hip hop painting, lettering, los angeles, support local artists, support local businesses, typography, wutang.